A dedication for those who sacrifice (The News Virginian) Just over a month ago, one local student saw his hard work pay off at Wayne Hills Center. Isaac Edwards, a 13-year-old eighth grader at Kate Collins Middle School, spent his Veterans Day morning at Wayne Hills as a 40-foot flagpole was erected as part of his Eagle Scout project. Edwards raised almost $3,700 for his project through donations. Goodwill programs help veterans transition into workforce (Pittsburgh Post-Gazette) Jerry Jones spent 16 years maintaining multimillion-dollar equipment at U.S. Air Force bases around the world. CivilianJobs.com’s Resume Matching Process Reinforces 2014 Military Job Fair Schedule (Virtual-Strategy.com) CivilianJobs.com matches transitioning military job seeker resumes to open positions for companies attending job fairs. New order defines separation rules (Military Times) The Corps has overhauled its manual governing how Marines retire or are separated from the service, with broad changes that cover everything from transition assistance requirements and involuntary separation protections for career officers to drug use and sexual ­assault. Businesses step up their efforts to hire veterans (The Columbus Dispatch) It took Francisco “Frank” Miranda, a veteran of the war in Afghanistan, about three years to find a job in the civilian world that was a good fit. Welsh: Budget deal doesn’t end need for force cuts (Air Force Times) The proposed budget deal for the next two years would not change the need to issue force management guidelines, Chief of Staff Gen. Mark Welsh told reporters Friday. Job Front: Sacramento State center offers support to veterans (The Sacramento Bee) For returning veterans, coming home can be a tough transition. 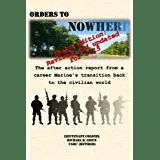 Readjusting to the civilian world, looking for work, going back to school – all pose unique challenges. Veterans vow to fight order to remove cross overlooking San Diego (CBS News) A veterans association that built a massive cross overlooking San Diego as part of a war memorial plans to fight a federal judge’s order to tear it down, a lawyer for the group said on Friday. Veterans disappointed in lack of legislation for 2013 (Stars and Stripes) The House wrapped up its legislative work for 2013 on Thursday without finalizing any major veterans initiatives, a disheartening footnote for some advocates pushing issues they thought had bipartisan support. Veterans force IRS to retreat from invasive requirements (U.S. Finance Post) Once again America’s veterans have showed the rest of the public that standing up can make a difference, this time against one of the most feared agencies in the country, the Internal Revenue Service. The war next door: Can a vet with PTSD come home? (Stars and Stripes) The man in the grainy surveillance footage strides through the sleepy cul-de-sac with purpose, like someone in command of his own destiny. Instructor’s work benefits students, vets (The Grand Island Independent) For Grand Island Senior High students who are part of the Career Pathways Institute program at the Central Community College-Grand Island Campus class work involves learning how to perform specific kinds of welds with expertise. Over time, new computer system put dent in VA benefits backlog (The Berkshire Eagle) Far fewer veterans are facing long waits for disability compensation after the Department of Veterans Affairs spent the past six months focusing on the backlog, including mandating case worker overtime and rolling out a new computer system. Worth VA director understands veterans’ needs (GlobeGazette.com) Brett Schmidt, a retired career veteran of the Iowa National Guard, is using his military experience to help veterans in Worth County receive benefits and services to which they are entitled. VA program works to find homes for heroes (Courier-Journal.com) Valerie Bridges’ orderly life seemed to be coming apart. Washington veteran struggles after leaving the service (Observer-Reporter.com) “Join the Navy and see the world” has long been a recruiter’s enticement, but it doesn’t always lead to exotic lands. Two years later, Hot Springs is still fighting to keep its VA hospital (Rapid City Journal) Attending one of the recent weekly meetings of the Save the VA group, the same word comes up over and over. New Rule Could Aid Veterans’ Access to Health Care for Some Traumatic Injuries (The New York Times) The Department of Veterans Affairs has approved new regulations to make it easier for veterans to receive health care and compensation for certain illnesses, including Parkinsonism, dementia, and depression, which have been linked to traumatic brain injury. ‘Pension poachers’ profit off benefits meant for elderly veterans, widows (Cronkite News) Business is booming in a multibillion-dollar government program that offers modest pensions to America’s neediest elderly war-time veterans – and that’s not necessarily a good thing. Cutting military benefits a poor decision (The News Viginian) You don’t balance a budget on the backs of military veterans. Ryan Defends Reduction to Cost-of-Living Adjustments for Early Military Retirees (The Weekly Standard) The two-year budget deal crafted by Republican congressman Paul Ryan and Democratic senator Patty Murray sailed through the House of Representatives on a 332-94 vote last Thursday, just two days after it was introduced. Republican Senators Battle Budget Cuts Targeting Military Retirees (National Journal) A handful of Senate Republicans are balking at a provision in the budget deal that would cut benefits to military retirees. Trim military commissaries? Them’s fightin’ words (Omaha.com) No matter where in the world the Air Force took them, Kim Livingston and her daughter, Shannon, always knew they could count on one familiar thing: a modern commissary well stocked with low-cost American groceries. Military retirees: Hands off our checks (Union-Tribune) Ann Wade, wife of a retired Camp Pendleton Marine officer, watched with alarm as the congressional budget deal was unveiled this week. Armed Services panel to review retirement changes in budget deal (The Hill) Senate Armed Services Committee Chairman Carl Levin (D-Mich.) said Friday his committee would review the changes to military retirement benefits included in the budget deal before they fully take effect. Military Retirees Up in Arms over Congressional Plan to Reduce Pensions (MintPress News) A bipartisan congressional vote on Thursday cut pay raises for active troops and military retiree pension plans for those who aren’t disabled and under 62. Ayotte meeting with NH veterans over cuts to military retiree benefits (The Republic) New Hampshire Sen. Kelly Ayotte is meeting with leaders from veterans’ service groups over cuts to military retiree benefits in a pending congressional budget. ‘Modest’ tag on military pension cuts is disputed (Omaha.com) Military veterans associations charged into the fray this week after what they described as a surprise attack on retirement benefits for those in uniform. Sen. Ayotte joins veterans in opposing cuts to military retirees’ benefits (New Hampshire Union Leader) Sen. Kelly Ayotte, R-NH, will appear in Merrimack today with leaders from several state veterans service organizations, calling for cuts to military retiree benefits to be removed from a budget deal currently before the U.S. Senate.